With a shared passion for protecting the welfare of children and the elderly, and a willingness to provide support to those who are the most vulnerable, our trustees joined forces to create ToHelp, a registered charity in the UK, Switzerland and Germany. Here at ToHelp, we are transparent and honest in all our activities. We ensure all administrative costs are borne by the trustees and 100% of donations goes directly to helping vulnerable children and the elderly in least developed countries. We have two potential projects for 2019 in the pipeline. First it is funding the construction or upgrade of a school building in a nearby school. 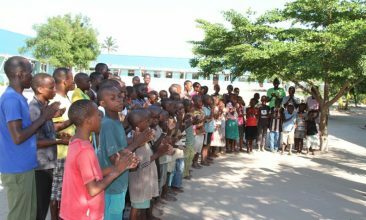 This will directly benefit the children from the orphanage as 68 of these children attend the school alongside children from the local neighborhood. Second is to continue on the elderly home. We would need to purchase additional land first before we would begin the 1st phase of the building of an elderly home. During 2019 we also plan to fund the ongoing support of the children’s teacher who assists the children with their English and other homework in the orphanage.